1 In a pressure cooker, boil 1 Cup (150 g) of soaked chana dal in about 2½ Cups (400ml) of water along with ½ tsp turmeric. 2 In a separate pan, heat 2 tbsp oil and fry 1/2 tsp cumin seeds. Add 1-2 chopped onion and fry till light brown. Then, add 1-2 chopped tomatoes, 1 tbsp Ginger-Garlic Paste, 1 tsp Red Chilli Powder, ¼ tsp of turmeric powder and salt. Cook on slow flame till oil separates. 3 Now add the boiled dal along with about 1½ cups (200ml) of water and bring to boil. Add 1 tbsp (10g) Knorr Chef’s Dal Masala, mix well and cook for 2-3 minutes or till the Dal is thick. 4 Now for the Pakwan, sift the all purpose flour and add cumin seeds, salt and ghee. 5 Mix well till it becomes a little crumbly and then add water to make a dough. 6 The dough should not be too hard or too soft. 7 Let the dough rest for 15 minutes. 8 Next, divide the dough into 11-12 small portions. 9 Roll out each portion like a chapatti. 10 Prick the surface with a fork so that it doesn’t puff out. 11 Heat oil till smoking point in a kadhai. 12 Slide in the Pakwan and carefully fry it on medium or low flame till it turns crisp and light golden in color. 13 Take it out on absorbent paper to get rid of excess oil. 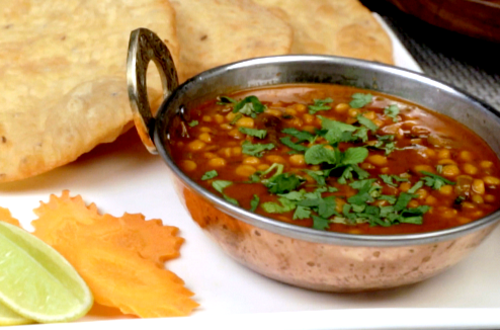 14 Serve the hot dal with crisp Pakwan. Enjoy!